Baby Boomer Davy's Locker: Baby "Boomer" Steps! Sometimes you can find yourself so overwhelmed with what you want to do, what you need to do, what someone wants you to do and what you actually DO! I can get so blogged down with goals, daily tasks, chores, income and bill worries, job loss, retirement, aging parents, career changes, health issues, what to eat and not eat that I just sit and want to do NOTHING!!! The problem with that is, that I just sit and think even more about all of those things. You can delay or put the “stuff” in the back of your mind by watching some mindless comedy on TV or listening to some good music, but they’re still there, waiting to come to your attention again, or even worse, they can cause physical health issues even while in the back of your mind as stress. The book, “The Power of Now” speaks to how we all do this thinking about anything and everything and how we create our own pain. Now I can make myself aware of the fact that I need to take one thing at a time, or at least only a few things at a time. 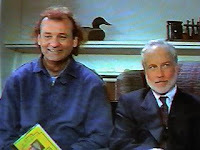 Remember the movie, “What About Bob”?, one of my favorites! In it, the phycologist, Dr. Leo Marvin writes a book called “Baby Steps”, which Bob, who is a total wreck of a human who fears so many things, he thinks his bladder may suddenly explode, learns from the book, to take Baby Steps, and it makes him feel better. This is what we all need to do, take Baby "Boomer" Steps in our lives. A friend and fellow blogger has a great site called Think Simple Now where she has some wonderful insights and information about becoming aware of your life and looking at it in a more relaxed and simplistic way. Give it a read for some great advice from a personal perspective. I found myself becoming “overwhelmed” today and just had to start writing about it and that helped me put things in a light where I was able to stop and assess what was on my mind. Sometimes when you feel stressed, go for a walk or write your feelings down in your journal, or just on some paper or a document on your computer. It will help you calm down and realize that you can not do everything nor please everyone at once. No one is that good! These current troubling times, with our world in political turmoil, global economic crisis and global warming, it is very easy to become depressed...in fact, we would not be human if we didn’t let all of these issues get us down. When I think of how easy it is to let everything bother me, sometimes I think of President Obama and I wonder how is he capable of thinking about the global issues he is involved in every hour of the day, when he knows that literally, millions of people are looking to him for answers. He seems to have an uncanny character trait where he looks at issues on his plate, assigns priority to them and then spends his day with seemingly boundless energy, working on and delegating others to also work on those issues and then just go have dinner with his children or attend some other affair. He is obviously very much in control of knowing his capabilities as well as his limits and the assurance that as long as he is working and trying his best...well then, that’s the most he can do. This is a great way to look at life. It’s a method of “Baby Steps”. Baby steps do not necessarily mean menial tasks, they each can be huge, but the importance is in the way we work on them...with passion and method toward a goal and a realization of our limits as well. I have to say that writing this article has indeed made me feel a LOT better! I highly suggest writing down your thoughts to help you work through a problem. Even though all the things that were on my mind are still there, I have gained the insight that I can not do them all immediately and as long as I don’t ignore them completely, I get them done, as best as I can! Also remember that taking a day or an hour or a nap are not bad ideas either. They have their merit and are indeed no less important. The other day I asked my daughter what she was doing for the day at college and she replied nothing much really! As a parent, this could mean that someone is not taking their studies seriously enough.... or it could mean that they just need to do exactly that....relax! I know the character of my daughter and I know how I have allowed myself to become lost in my endeavors and became a more stressed type of a person, so I am always careful to remind first myself...and then her that “nothing really” is a good thing to do as well!